Plus one more in the bright sun...I still love this putter! Still waiting for somewhere around me to stock one so i can try it... might have to just order anyways. That's what I had to do. Not stocked anywhere here. I practically had to beg the PING rep to get one in our store They're just not stocked anywhere. Great putter though! I love mine! Hit some putts with this today in the PGASS and really liked the feel and stability. 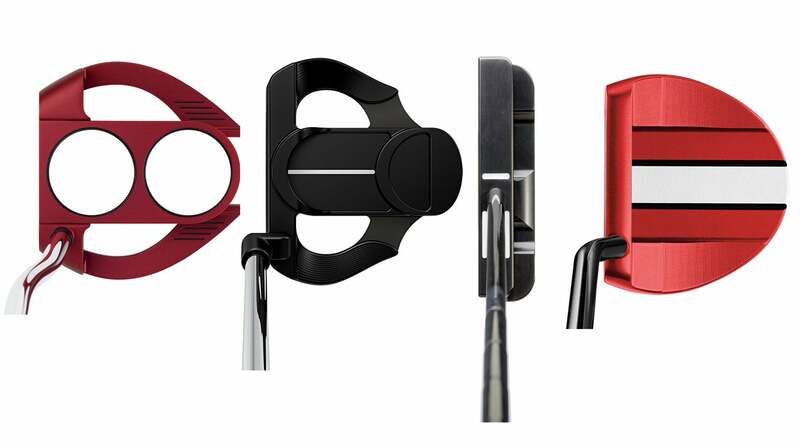 I think I need to move back to a full offset putter, currently game an O-Works #7 and Newport 1.5, the Craz-E H definitely looks and feels like it could right in the bag. One of my local retailers finally got one of these in a few days ago. Honestly, I was a little underwhelmed. 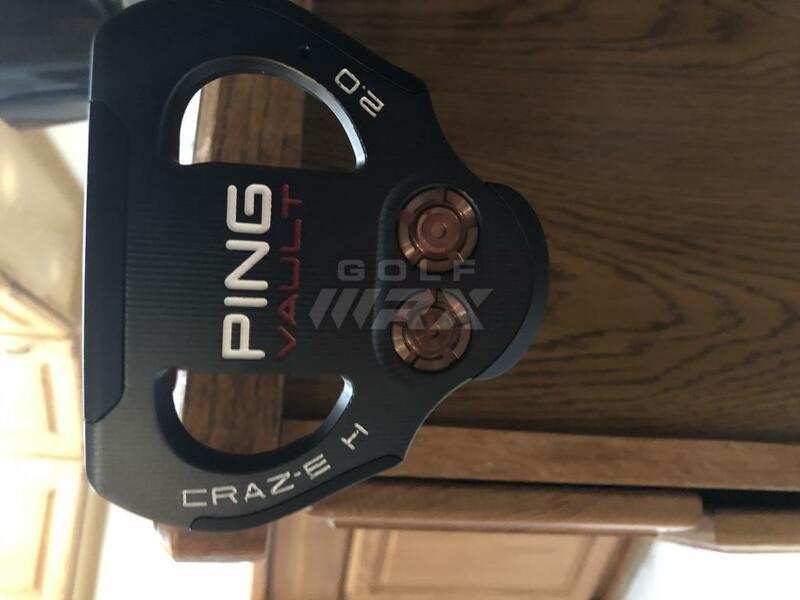 I am a PING guy and the TR grooves are legit IMHO but this putter felt harshly firm to me. I also generally prefer a milled face to an insert however I think that the Sigma G Tyne H has a better feel and roll. 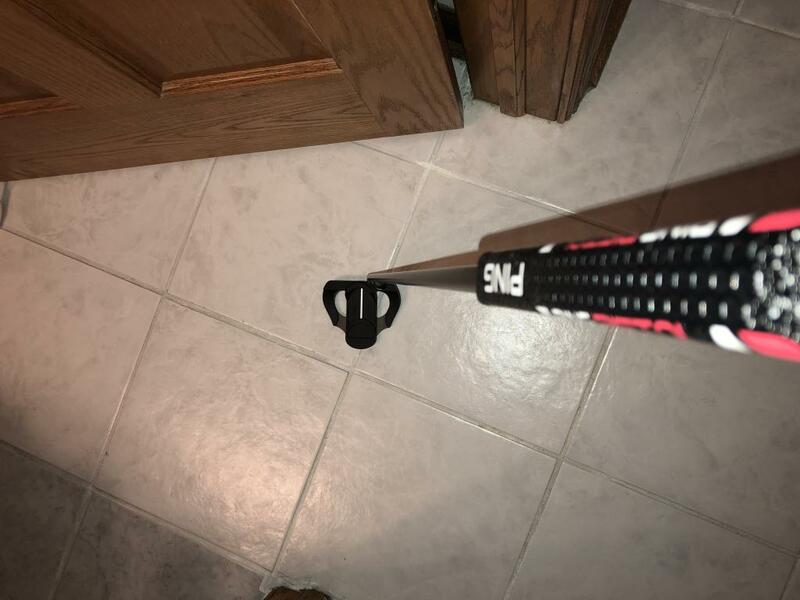 I am not mad about the Tyne H having a headweight of 370g but feel and roll wise, I think it is the best toe hang mallet out there right now and it is back in my rotation. I have the complete opposite opinion. I think the Tyne is mushy and unresponsive. Everything about the Vault Craz-E is better, IMO. Better lines, better feel, better balance, etc. Each to their own, however! Stunning looking putter, that style / design is solid & has stood the test of time. How long has it been since the first iteration of the Craz-E? 10+ years? Enjoy it, it's a keeper. One month update: I can confidently say that it has made me a better putter. My avg putts per round (10 rounds this month) are down almost 2 strokes (1.9 to be exact). It is point and shoot for me. My misses are misreads, more than mishits. For a mid-single hcp player, this putter is a weapon. Finish holds up great. There is no fading, scratching, ball marks, etc from gaming it. Still going strong! My misses are misreads, more than mishits. Every credible putting expert I know of says this is full success. Doesn't matter how many you sink, if you hit your reads you are winning. The reads will grow more accurate over time, i.e. "dial in", the key is being able to hit them. Kudos man, that's just awesome. Man, this thing is a mythical beast. 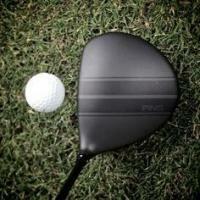 Tried to order one from Ping and being told mid November in stealth and December on slate. Anyone know where these are readily available / in stock? 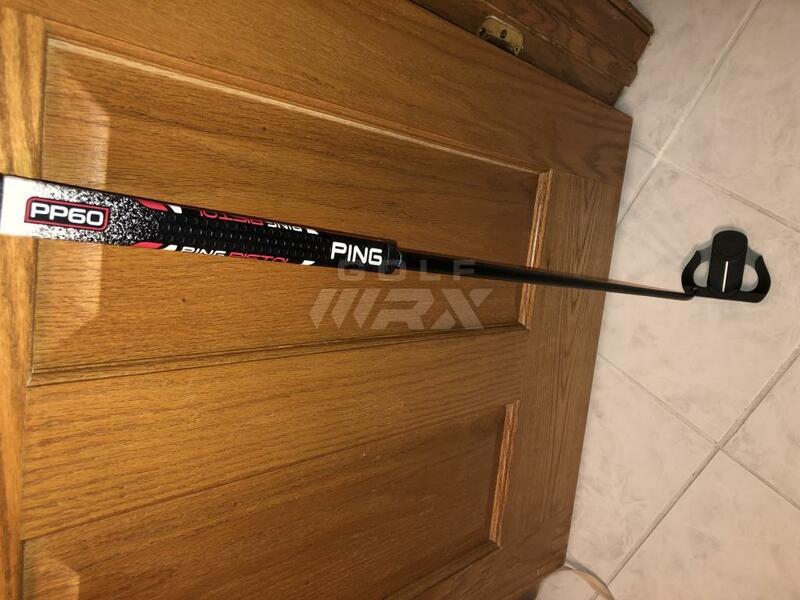 I think tgw.com has them but they might ship from Ping. I believe when I looked it said 5-10 business days. My local course has one painted in stealth with black shaft but none of the ones with black shafts have copper weights. All of those have black weights. Is that normal? I do think these head covers are lacking. I really really really want this putter but with a single bend shaft. I don’t get along with plumbers neck and this one has just a little bit too much toe hang for me. 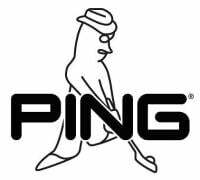 Cmon ping! Make a near face balanced version of this!!! Putted with one at edwin watts, expected more from it. The tyne h feels better and feels more balanced. Amazing, PING’s custom services have to be the best in the business for getting people exactly what they want. Your not kidding. 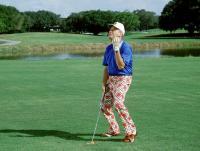 I all but gave up until I got a call from my pro shop. They built it with a different hosel , 370 grams as I requested, and the stealth shaft. All for about $10 more than retail price. As a lefty PING nut, that putter is so awesome!!! 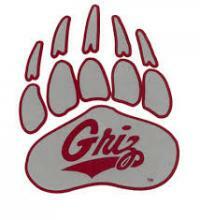 Great choice and I’m happy it worked out!!! "Anyone else have one of these? Thoughts?" #1 Mallets are going to give you better misses. #2 The alignment aid actually works. A long single line. Not sure where I read that but I've read it and probs from Ping somewhere none the less I agree a long single line is good for alignment high contrast white on black even better. #3 The hosel not sure of the term? but the Craz-E H is a mallet that steers like a blade. 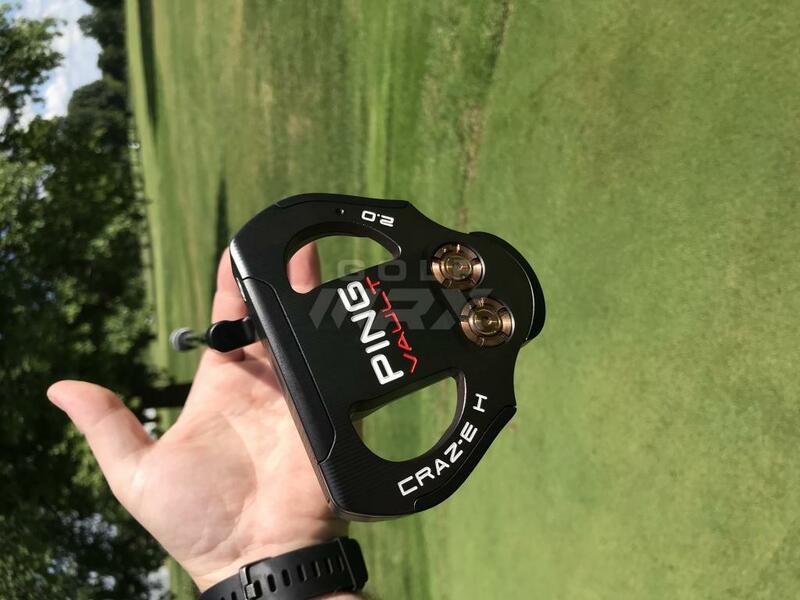 So for those of us who grew up using heal and toe weight blades the Craz-e H is very similar to what we've putted with our entire lives so it allows us to draw those experiences. 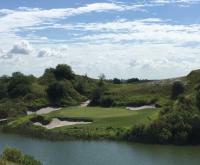 #4 The grooves offer some help on distance control. 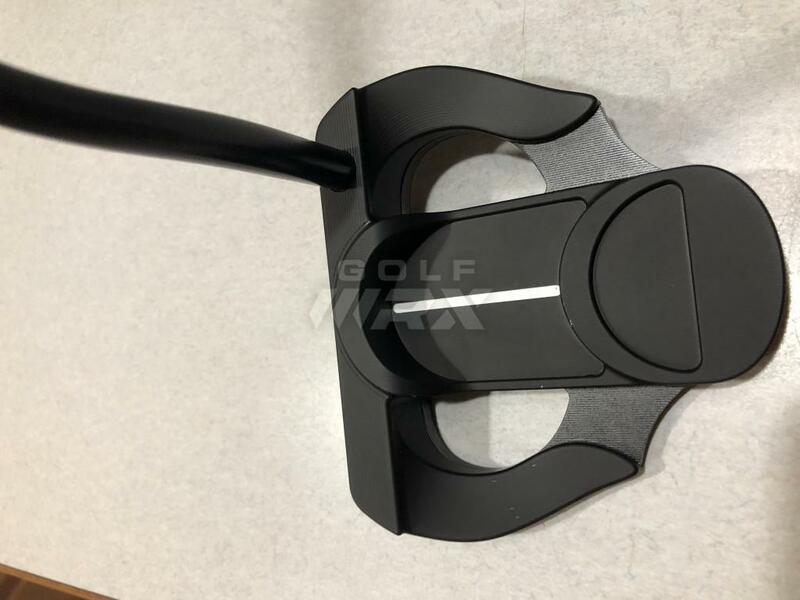 #5 Add in the fact that this putter design is well over 10 years old and has won craz-E $$$ on tour for Kenny Perry and a few others we have a design that is familar just so happens to work, is nostalgic and new both at the same time a very rare combination but good especially when the asking price is relatively high. 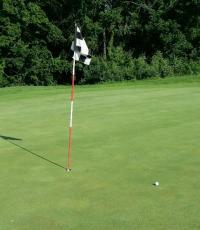 Long putts ought to be slightly closer. I don't know if the weights being so far back actually add to the MOI or performance in any way but I'd bet they do. 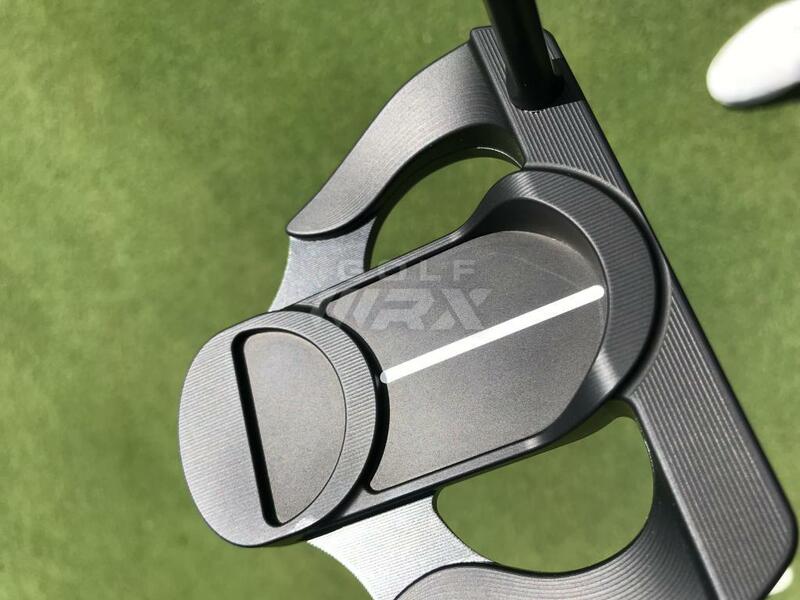 It looks GREAT while doing all of the above and those are all reasons that some will find more "performance" from this one putter. Last but far from least you can pick up the ball off of the green with it!